Attending pest control training courses is part of the job for any licensed pesticide applicator. Just like nurses, social workers and massage therapists, licensed pesticide applicators must obtain a state-mandated amount of professional development by signing up for continuing education training. At Pest Control Courses, we make it easy to earn your continuing education credits to qualify for re-certification. You are able to complete your pest control training around your busy schedule with the online classes offered by Pest Control Courses. We’ve designed all of our classes with you in mind. They’re packed full of valuable information and practical application. Learn about updated procedures, new technologies and modernized protocols. Although our courses are full of information, they’re designed to be easy to follow and understand. We’re not here to ask trick questions or trip you up. Your success is our success. And that is why we’re always available if you have any questions or concerns. Just give us a call or send us an email and we’ll be happy to help. If you need pest control training for license renewal, contact Pest Control Courses today. Our online pest control training courses are flexible around your busy schedule. 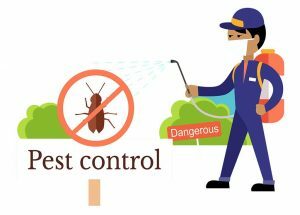 And with superior support, affordable packages and a wide selection of course content, there’s no wonder Pest Control Courses® is a leading provider of pest control training courses online.